It’s the 87th minute, and you’re level with the only team who have beaten you in the league this season. The 1-1 scoreline doesn’t look like it’s going to budge. Then, a stroke of genius. Not a sudden moment of inspiration by a striker, not a visionary defence-splitting pass by a playmaker, and not an unexpected and overdue header from a goal-shy tall and gritty centre back. In fact, if we’re to believe Bastian Schweinsteiger, then the genius was cultivated off the field. Lucky enough to win a freekick three minutes from regulation time, it looked like it’d require a special take to put it in the back of the net. One of those Christiano Ronaldo dippers, or Robert Carlos pieces of magic. But when he stepped up to take the kick Schweinsteiger had something else in mind, probably implanted there by Bayern coach Jupp Heynckes. He hit the ball low and flat, and it would have been a terrible free kick by all accounts—were it not for the fact that it resulted in an own goal as the ball ricocheted off Bayer Leverkusen’s Philipp Wollscheid and into the back of the net. It put Bayern up 2-1, and they won the match. Where’s the genius? It looked, at the time, like an extraordinary piece of luck. In fact I jovially suggested to a Bayern-supporting buddy that Bayern were falling apart, that they were only able to triumph by virtue of a lucky own goal. Some might have chalked it up to the fabled concept of Bayern-Dusel or ‘Bayern luck’, an expression that has characterised criticisms of Bayern since the 70s, implying that they often leave it to the last minute to win and rely solely on luck to do so. But it was not luck, not at all. The freekick had been meticulously planned by Jupp Heynckes, who had scrutinised the way in which Leverkusen defended from set pieces. Noticing that their defenders stood very deep inside the box when freekicks were coming in from an angle, he instructed his players before the match—via a PowerPoint presentation—that any freekicks should come in low and flat. As Schweinsteiger was stepping up to put this into practice, the camera cut to Heynckes, who can visibly seen to shout ‘FLACH!’, which translates to something like ‘low’ or ‘flat’. 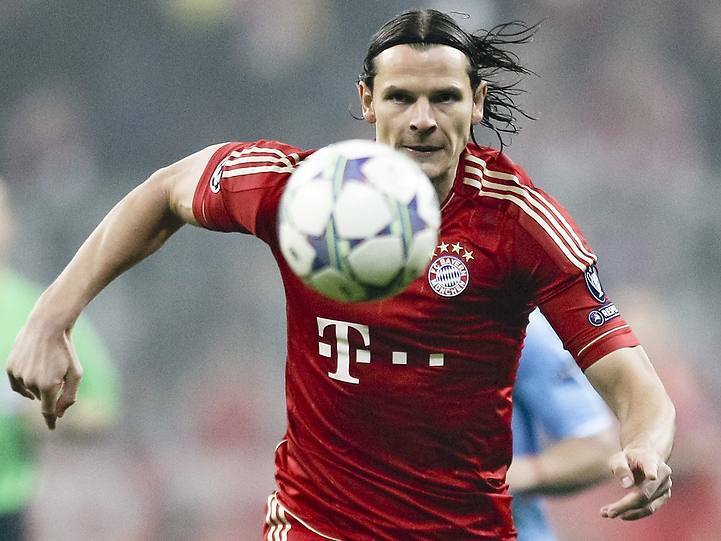 Such astuteness and outright brazen tactical dexterity have typified Bayern’s season. As a football writer—and indeed fan—I tend not to put much stock in statistics. At least not on their own. They usually need context, and a lot of it, to be rendered useful. The objective, cool and detached way to tell you how successful Bayern’s season has been would be to unload a big blob of numbers and data on you. The Bavarians kicked off the season by crushing everything in sight, breaking the record for most consecutive games won at the start of the season (8). It took until the end of February to concede a goal in the 2013 calendar year, and even then it came in a game they won 6-1. Such was the inactivity in the Bayern box, keeper Manuel Neuer had been playing catch with Bayern substitutes during the long stretches in games when he wasn’t needed. Right now, they’re sitting pretty at the top of the Bundesliga, 20 points clear of second place Borussia Dortmund, having lost only a single game in the entire campaign. In fact, they could have clinched the title this weekend had Dortmund not also won. For once, the raw data doesn’t need too much contextualising. That’s the objective and clinical way of illustrating their season though. The subjective way would involve much gushing , fawning and salivating. As much as I’m tempted to engage in the writing of a hagiographical piece, I can’t. The season hasn’t been entirely faultless, and there have been some little ripples in the previously-serene waters recently. As always, the only flawless thing at Bayern is Mario Gomez’s hair. Still, there’s throngs of positives, so why don’t we start at the start? Actually, it’s probably a good idea to start before the start of the season. Much of Bayern’s success is a result of their activity in the transfer market. For me, Bayern’s best signing over the summer was one of their least expensive and came in the shape of 6’2 Brazilian defender Dante. He was part of the Borussia Mönchengladbach team last season which maintained one the best defensive records in the league, and he fitted right in at Bayern anchoring the back line and providing stability in an area which sorely lacked consistency last season. Spanish international Javi Martínez was this season’s marquee signing, coming over from Athletic Bilbao for a tidy €40,000,000 and shattering the Bundesliga’s transfer record. He took a while to settle in but has found his best form lately sitting deep in midfield alongside Schweinsteiger. Croatian international striker Mario Mandžukić also came in after an impressive Euro 2012 campaign. Originally, it seemed he was drafted in to cover for the injured Mario Gomez, but as the season progressed and as Gomez returned to full fitness, it became increasingly apparent that the role Mandžukić had carved out for himself as first choice striker would remain his. A lot of this has to do with the fact that he can play fluidly with the wingers, dropping off to the side to let Thomas Müller and Franck Ribéry float into the middle. He also possesses a defensive dynamism, too. This is something Gomez—who is a straight up poacher—lacked. Those new recruits, plus a few others, have added a certain depth that Bayern lacked last season. Before big Champions League fixtures there’s always been a tendency to play a weakened team in your league match (something they did do this weekend), and the depth has allowed them to do this without compromising their Bundesliga dominance. A lot has fell into place with other players, too. Toni Kroos, who often caught flak for poor performances as a playmaker last season has excelled, and offers just a little bit more than most number tens do since he’ll often be found dropping deeper into midfield and taking responsibility for defensive duties. Thomas Müller, Bayern’s goalscorer in last year’s devastating Champions League defeat, has been playing with enough panache to keep Arjen Robben out of the team. Schweinsteiger, plagued by injury last season, has improved immensely and is looking close to his best. Also crucial is the improvement in Bayern’s gegenpressing game. Gegenpressing is the German term for a tactic that involves playing a high defensive line and putting as much pressure on the opponent when they’re in possession as possible, trying to win the ball back and restrict the amount of time they have to pass. This strategy is apocryphal, but it has been popularised in Germany by Jurgen Klopp’s Borussia Dortmind side, whose mastery of pressing helped them win back-to-back domestic titles. Compared to last season, Bayern are obviously putting more work in when they’re off the ball, chasing opponents down faster and more frequently. The astronomical fee paid for Javi Martínez might be explained by the fact that he is one of the game’s most consummate retrievers of the ball, both in terms of pressing and interceptions—pretty much the perfect player to have lying deep in midfield in what is known in Germany as the ‘double six’ position. Bayern haven’t been invincible though. Although ultimately inconsequential in the grand scheme of their Champions League campaign, defeats by the Belarusian giants BATE Borisov in the group stage and by Arsenal at the Allianz in the last round proved that Bayern can’t afford to cruise. Their league form seems to have dipped slightly over the past month. A couple of short-term injuries might account for this, but a narrow 3-2 win over Fortuna Düsseldorf and another dangerously close win over Leverkusen two match days ago should serve as a much-needed warning against complacency. Over the weekend Bayern prepared for Tuesday’s Champions League match with their most dominant display yet in the Bundesliga. A weakened side that included Arjen Robben, veteran striker Claudio Pizarro and young Swiss winger Xherdan Shaqiri—none of whom are likely to start against Juventus—thrashed Hamburg 9-2. A lot of positives can be derived from the game, but what Heynckes will likely have taken is that it is unacceptable to concede two goals. Earlier in the season he lamented conceding once in a match, and it is pertinent to note that Bayern have let two goals past them in two of their last three Bundesliga games—the only two occasions on which this has happened this season. Although their defensive record and performances have improved incalculably since last season, it’s still the area where they need the most improvement. Despite criticism of their defence, they’ve only conceded thirteen goals in the Bundesliga this season. Holger Badstuber—who eventually became first choice centre-back earlier in the campaign—picked up a season-ending injury months ago in a league game against Dortmund. Replacing him has usually been veteran Belgian Daniel Van Buyten or German-international Jérôme Boateng. Many were pessimistic about Van Buyten’s ability when he was named in the starting lineup for the home leg of Bayern’s Champions League match against Arsenal, but his experience showed, and his defensive performance was easily the best on the night. Despite this, the defence could be faster. Opponents who counter-attack with blistering pace find themselves either able to get behind the line or able to mutilate its formation. This is precisely what happened in the Champions League group stages when Bayern were shown up by Belarusian giants BATE Borisov. The Champions League will be the hardest beast to slay, naturally. It would take a miracle for them to concede the league to Dortmund, and their only opponents left in the DFB-Pokal—the German domestic cup—are teams they’ve emphatically beaten in the league already this season. Next in Europe they face Juventus. The fixture will prove interesting, with both teams preferring high-pressing games involving penetrating runs on the wing and high-defensive lines. The Italian champions are likely to be Bayern’s first true test in Europe, and it feels almost wrong to be optimistic. Just about I, and everyone else out there following European football, wouldn’t have bet a single penny on Arsenal beating them at home in the last round—but it happened. Although Juventus—who, like Bayern, sit clear on top of their domestic table—are regularly diagnosed as lacking a potent strike force, it’s not as if some of the strikers they do have (namely Alessandro Matri, Mirko Vučinić and Fabio Quagliarella) are goal shy. Juventus’s true strength lies in the middle, with the now almost-legendary Andrea Pirlo anchoring a midfield that boasts two of the best central midfielders in the world in Arturo Vidal and Claudio Marchisio and one of the future’s most promising in Manchester United rebel Paul Pogba. This makes them very effective at counter-pressing—something Bayern will be keen to avoid, especially in the absence of Javi Martínez who is out due to yellow card accumulation and likely to be replaced by Luiz Gustavo. If indeed Antonio Conte decides to go with a 3-5-1-1 formation as Italian newspaper La Stampa claims, the extra men in midfield will help them to control possession better. The formation has been deployed already several times this season by The Old Lady’s coach, and would allow Marchisio to move forward with Stephan Lichtsteiner coming into midfield. Given how successful they’ve been already this season this will be the year of Bayern Munich even if they do manage to lose their three-fronted campaign. It took a while, but eventually news of Bayern’s domestic dominance filtered through pundits and editorials to the football-watching public in the rest of Europe. Awareness of their superiority has become common-knowledge, and for this reason, even if—and especially if—they fail, they’re going to be in the headlines. Another part of what might eventually cement this as the year of Bayern Munich is what’s going on off the field as well as on. Former Barcelona manager Pep Guardiola has been named as the successor to Jupp Heynckes—who actually came out of retirement to take the job in the first place—and will take control of Bayern in summer. Guardiola comes with pedigree, having won the triple with Barcelona in 2008-9 during his first season in top-flight management. 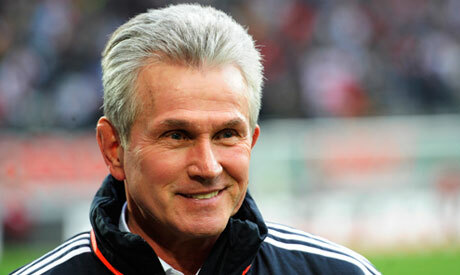 His appointment came as a surprise to many, and he snubbed the likes of Chelsea to take the job in Munich. But taking into account all of the factors mentioned above, it shouldn’t have been too surprising. To name one of the world’s best managers certainly makes it a good year for you. Speculation as to what Pep will do with or to the team is rampant. Some say that he has a long shopping list that includes Neymar, Luis Suárez and Robert Lewandowski, with carte blanche to exhaust Bayern’s extensive cash reserves. More sober-minded observers are aware that chairman of the board Uli Hoeneß and head of the executive board Karl-Heinz Rummenigge like to keep a tight rein on their managers and certainly Guardiola will have to co-operate closely with new sporting director Matthias Sammer. Sammer—himself a former Champions League winner with Dortmund—came to Bayern in the summer after serving in a position that involved working with promising German youth at the German Football Association. This means he brings an intimate knowledge of young talent in Germany to Munich, and the directors know it. This is part of a concentrated effort to ensure that Bayern are going to be able to rely on their youth academies and own system in order to produce the new Philipp Lahm or Bastian Schweinsteiger, rather than having to reach deep into their pockets every transfer window. Despite the fact that 85 Bayern Munich youth academy graduates are playing in the Bundesliga and around Europe, the hope is that they can produce even more. Any new manager will be expected to work with Sammer to seamlessly integrate prospects both current—such as German under-19 international Emre Can—and future into the team. This entry was posted in Previews and tagged allianz arena, Bastian Schweinsteiger, bayern munich, champions league, dante, david dodds, Emre Can, Gegenpressing, javi martinez, jupp heynckes, juventus, mario gomez, Mario Mandžukić, pep guardiola, philip lahm, Toni Kroos, uefa by David Dodds. Bookmark the permalink.